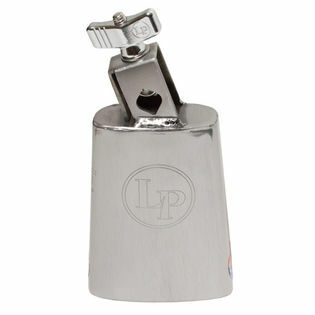 The LP Raw Beauty Cowbell is designed to have a high pitched bright sound with a moderate overtone and a slightly rounded playing surface to make it easy to get a good sound with every hit of the stick. This is the same bell as the classic Black Beauty except with a stylish clear coat finish that delivers a slightly drier sound. 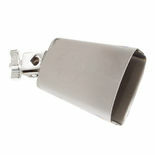 The Raw Beauty Cowbell cowbell features the famous forged eye-bolt clamp assembly with oversized wing nuts that provide secure placement on 3/8" diameter mounting rods with only finger tightening.